Complete puzzles in this adventure game about memories and friendship. The Gardens Between is an adventure game starring a pair of friends named Arina and Frendt, who are thrown into a world of island gardens containing everyday items like headphones, pop bottles, and pieces of furniture. 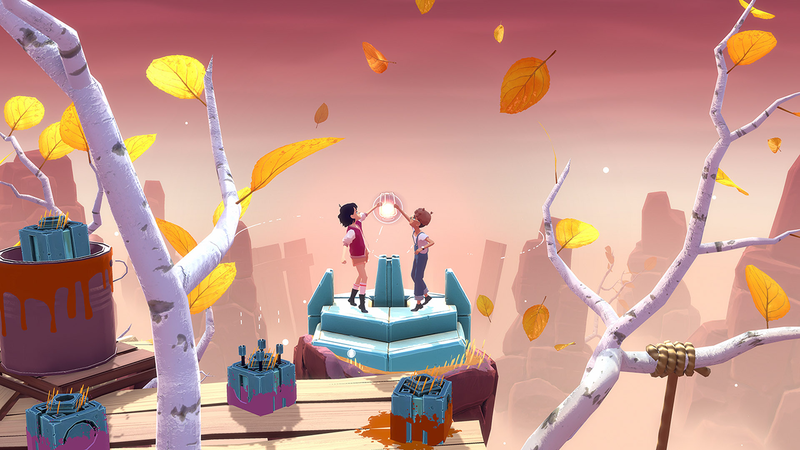 Players must solve puzzles to help Arina and Frendt reach the end of each garden by manipulating the flow of time and interacting with the garden’s objects. For instance, one garden may ask them to cause time to flow back and forth multiple times to cause a saw blade to cut through a piece of wood. In The Gardens Between, players can explore more than 20 island gardens in total. As they progress, they’ll learn about the pair’s friendship and examine their memories. There’s no written text or speech to follow along with, so players can interpret things on their own as they go. The Gardens Between is rated E for Everyone by the ESRB, but the game’s lack of dialog may make it challenging for younger players to keep up with the story. At the same time, the game has been designed with simple controls, so even younger players can have fun with the time-bending gameplay as they explore each garden. You can download The Gardens Between for $19.99 on Switch, PlayStation 4, and PC. Check out the first 15 minutes of The Gardens Between in our SuperParent First Look below to see what this game is like in action.